Yes that's right! Firepot Food are getting a make over. Here's what is new to the packaging plus some new flavours on the way. 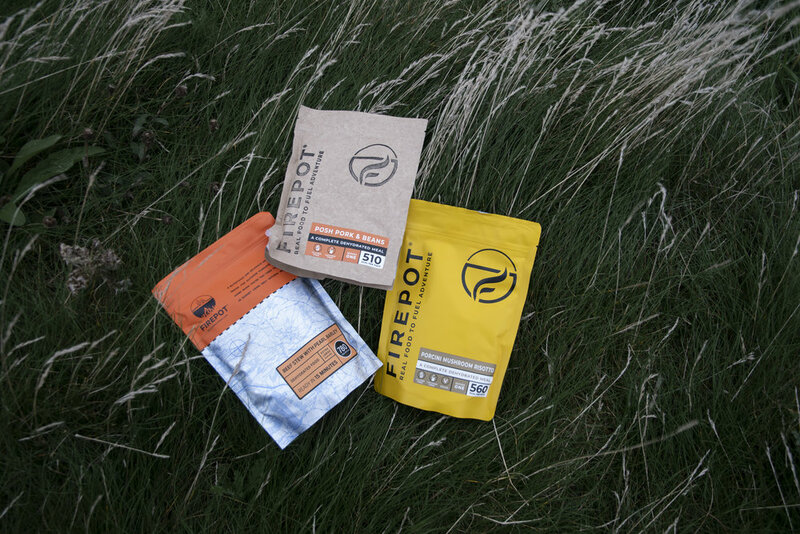 Firstly as you've seen the two new packs, our much loved Firepot packaging with the map and orange stripe is changing to a distinctive bright yellow with clearer instructions front and back to make it easier for people to pick up and go with no worries. I personally love the punchy message on the front “Real food to fuel adventure” and I for one stand by this as they do taste far better than other packs on the market. The second pack you see in the brown is the new biodegradable packaging and it's about time the outdoor food companies started moving this way so it's great to see a start. The biodegradable pouch isn't like the usual packaging where you add water, if you do this you will end up with hot water and your grub on the floor. You simply do the reverse, pour the food in to your pot of water and wait. Meanwhile you can bury your packaging which will decompose in a year. Spread across Wales is several of my packs buried and decomposing.